Starlings are not common at Cedar Creek. Howitz has only found six nests, most along the southeast shore of Fish Lake. They also nest in old woodpecker holes on the old Heckenlaible farm. 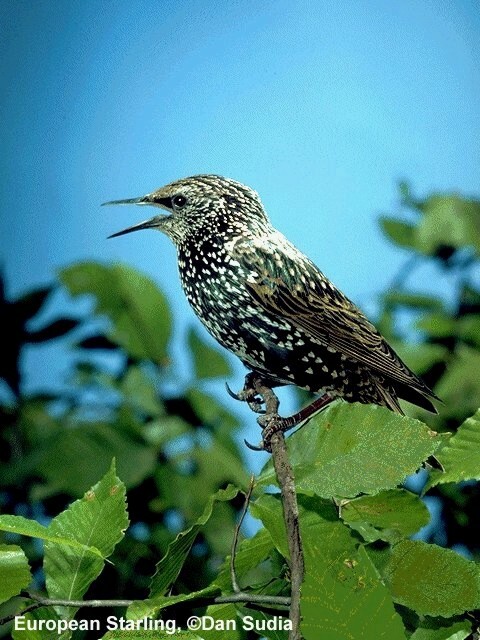 Starlings are seldom found in the areas of Cedar Creek away from human habitation. They do not appear to compete significantly with native species at Cedar Creek.